The Allied Telesyn line of security products is intended to be the security solution of choice for organisations looking to enhance their network security architecture with leading security products and solutions. The ability to provide, from one vendor, best of breed security solutions that address multiple areas of information security is highly desired in today’s fast-paced market. Allied Telesyn also offers a vast managed and unmanaged switch product. 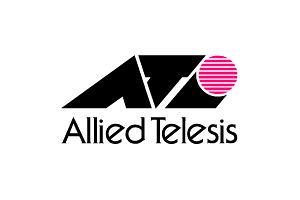 Allied Telesyn’s managed and unmanaged switch product offerings are broad and growing fast. Our current switch products address today’s heterogenous networks – from the smallest small business network to large enterprise LANS – and facilitate their growth by offering numerous options.